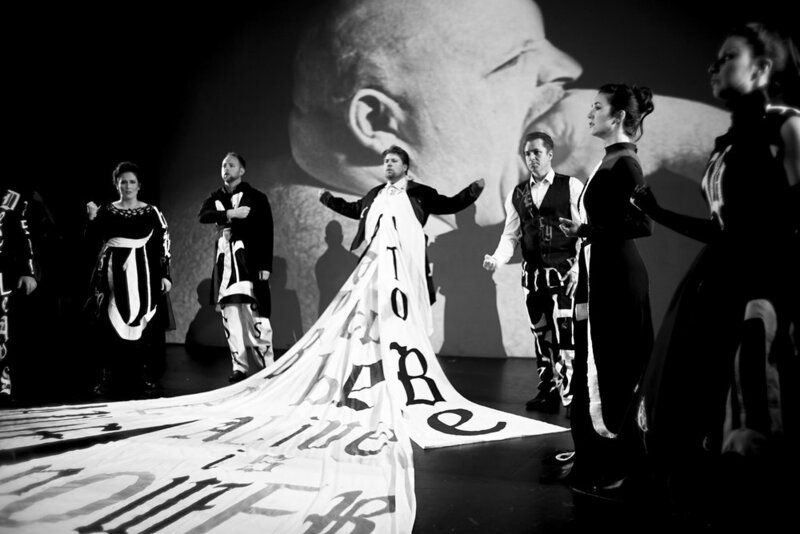 The culmination of her life's work, New York-based visual artist Lesley Dill's opera Divide Light is based on the complete works of poet Emily Dickinson. Composed by Richard Marriott, founder of Club Foot Orchestra, Divide Light follows a dramatic and emotional contour, exploring a range of emotions from joy, ecstasy and fear to vulnerability and exhilaration. Divide Light is made possible by the New York State Council on the Arts with the support of Governor Andrew M. Cuomo and the New York State Legislature.